Add style and flavor to your table with this .5 oz. 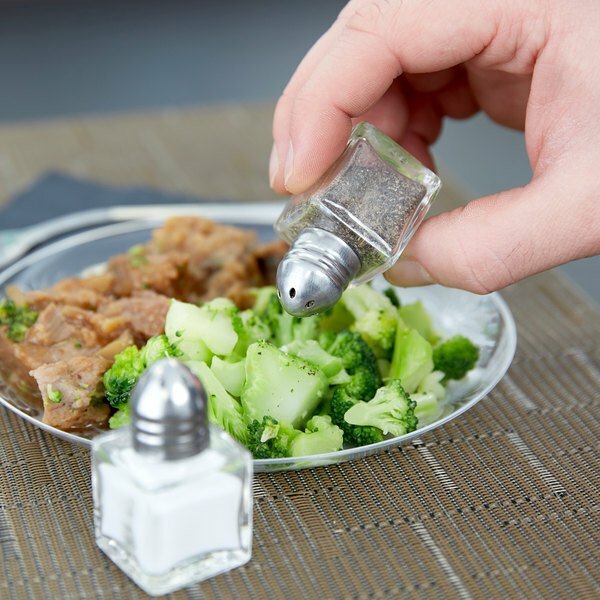 mini salt and pepper shaker. Whatever you serve, the option to personalize their meals with a dash of salt or pepper is a convenience that your guests expect. For adding a little seasoning to a perfectly baked potato or turning up the heat on other favorite dishes, having salt and pepper readily available on tables is a nod to your guests' individual tastes. 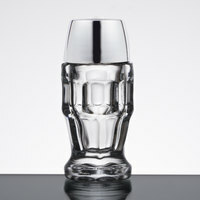 "The shakers look great and work great! They add a bit of class to lower budget dinners, and they hold up to high end parties. They pour well also." 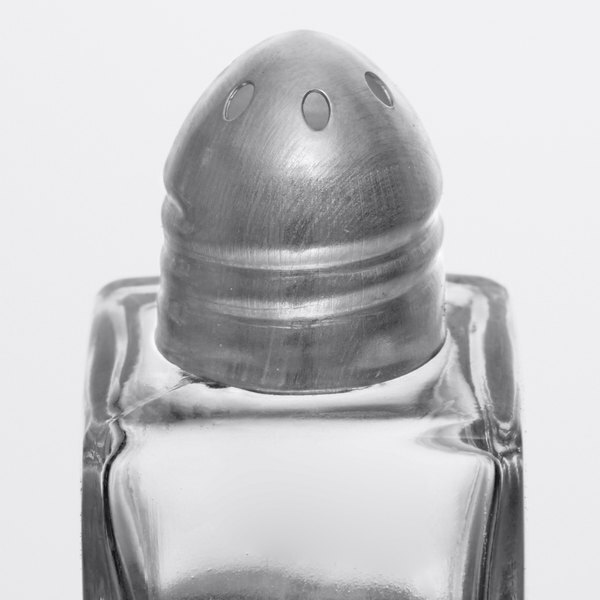 Each salt and pepper shaker can hold up to .5 oz. of seasoning, the perfect amount for tables at your catered event or wedding reception. 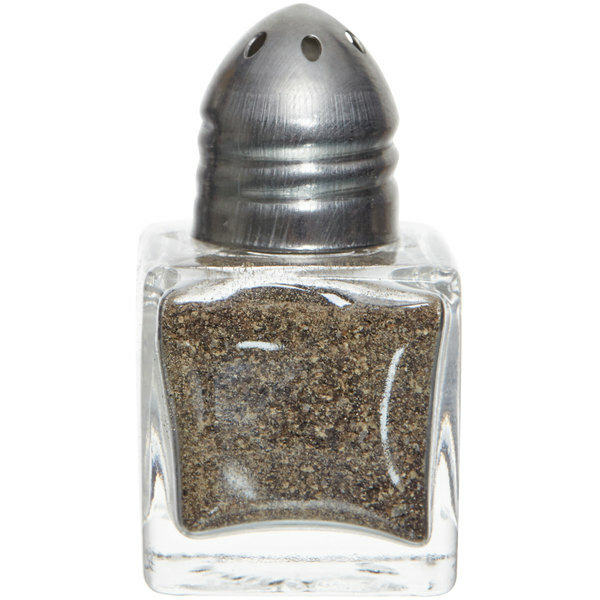 This small shaker is even great for adding a thoughtful touch to room service trays or service carts! 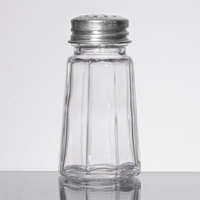 Each salt and pepper shaker is made of glass and features a chrome top for a simple, but attractive look. In addition, the clear glass design allows your customers to see at a glance what seasoning is inside, eliminating confusion to ensure that your guests get just the flavor they want. 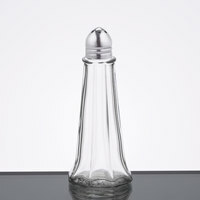 This salt and pepper shaker features a threaded, twist-off top design so that it can easily be cleaned and refilled. The opening is on the top and easily accessible so that refilling shakers doesn't become a balancing act. Regal Table Black Pepper - 5 lb. We ordered these for a wedding reception and they looled great on the tables!! We have also used them for several other occasions! Well worth the money and I am so glad we ordered them! 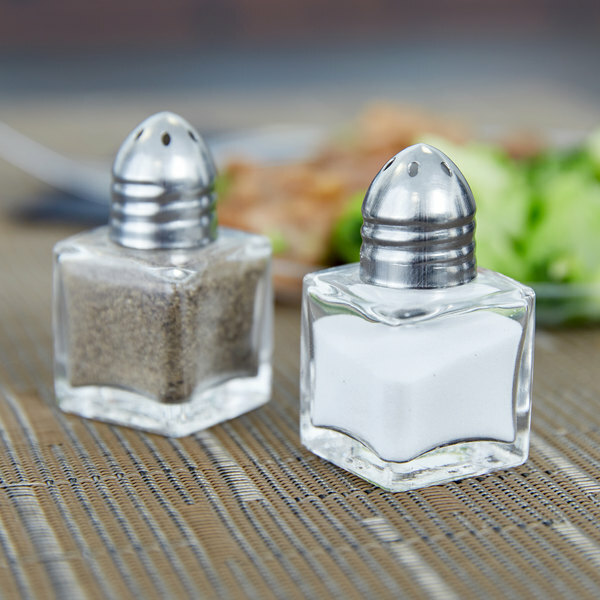 These mini salt and pepper shaker have been a great addition to our inventory and they are great to use in our restaurant and for events. I love these little salt and pepper shakers. I am having these on the tables for my wedding. Such a good price and I can have some friends take they home as well. 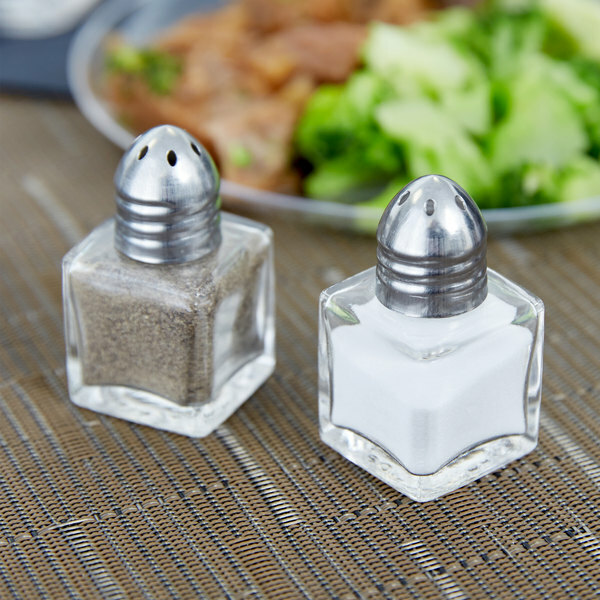 We love these tiny salt and pepper shakers. We use them for our church fellowship hall to put on each table. They are perfect for that! These are great little shakers. They are classy looking and the perfect size for a one time event or for catering events. I’m not sure how much my guests will use them, but I still want shakers on every table so I found this to be perfect. These are perfect for our catering needs, small and easy to pack. Just be sure to not get them wet, or they will rust. As long as they are properly stored, they work perfectly. They're adorable, to be honest. We were afraid that they'd walk off or get tossed out inadvertently, but we haven't seen that happen yet. They look much nicer than plastic or larger, cheaper-looking ones. Good stuff. These salt and pepper shakers are cute and economical for wedding dinners. They are nicer than the cheap plastic ones and amount the same cost or less. Thank you for another great product! Great for transporting to our catering events without taking up much space. It is easy to transport enough shakers to an event when they are this small. They still hold enough salt and pepper that you don't run out after a couple uses. 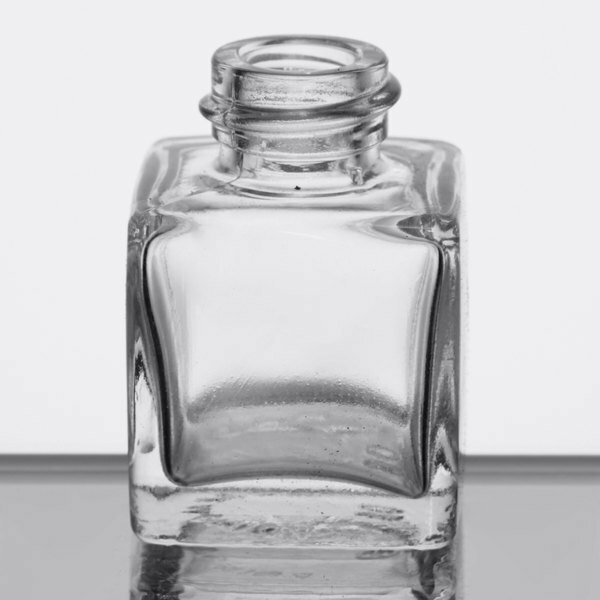 These mini glass shakers are the perfect size for a wedding. They can be filled to the top with very little salt/pepper. The holes are larger than most shakers I have seen. They would work best with a coarser salt/pepper. I am very pleased with these. These were so much cheaper than the ones at the party store but looked exactly the same. Turns out they were the same. Love these! They are cute and hold plenty for everyone at a table. Highly recommend. We used these salt and pepper shakers at our wedding. They work great. While attractive, their small size doesn't distract from the table decorations. These are perfect small salt and pepper shakers! Dainty little salt and pepper shakers. Attractive design and just the right size for banquets. We have been very pleased with them and use in our catering business. 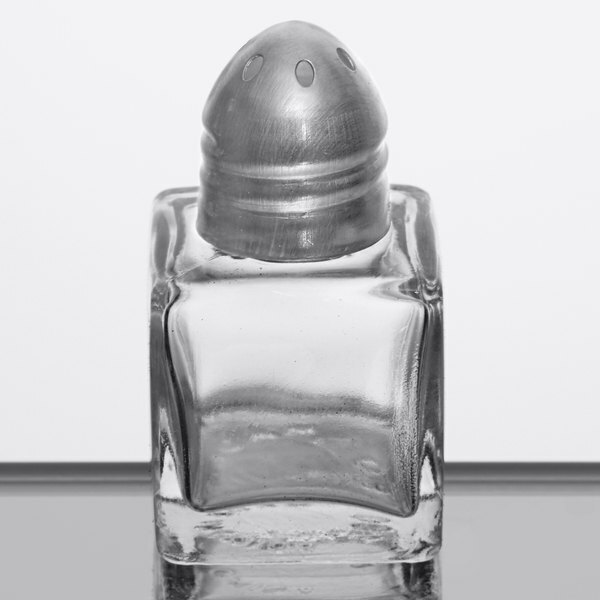 I purchase these mini salt and pepper shakes for a wedding. They are adorable and they we perfect for each of the tables. Great quality and price. The mini Salt and Pepper shakers are a perfect touch for breakfast hutch at BEL ABRI INN. Our guest always comment on how adorable they are for their size. The moment I finished the video, my daughter said she was taking both s&p to her office.. :-) These are perfect for party table & apparently office setting they are adorable & affordable. They are perfect just the right size for a one-time-use at a wedding Super G super canonical to buy just very happy with my order definitely will be buying the future.